Massachusetts Renter's Insurance - Humphrey, Covill, and Coleman Insurance Agency, Inc.
Just because you don’t own property, doesn’t mean that you’re not liable for events or mistakes that may occur. Throwing a party may seem entirely innocent — and certainly not a reason to stop and consider whether or not you have renters insurance. But if one of your guests leaves after having a few too many and causes a fatal accident on the road, you could be deemed partially responsible for the damage. This can happen even if you tried to stop the person from leaving in the first place! Massachusetts renters insurance can save you from the full costs of settling the claim or of hiring legal counsel to fight it. Medical expenses are an extension of the liability coverage of a standard Massachusetts renters insurance policy. It essentially ensures you have enough money to cover any potential medical expenses if someone on your property is injured. Medical coverage claims have a tendency to climb higher than people realize, especially when you consider the fact that it only takes one slip and fall to result in a catastrophic injury. If you happen to leave a cord out in the middle of a walkway and your friend trips on it, you may be expected to pay for their injuries. If they need surgery after the slip and suffer from chronic back pain for the rest of their lives, you may be on the hook for quite some time. 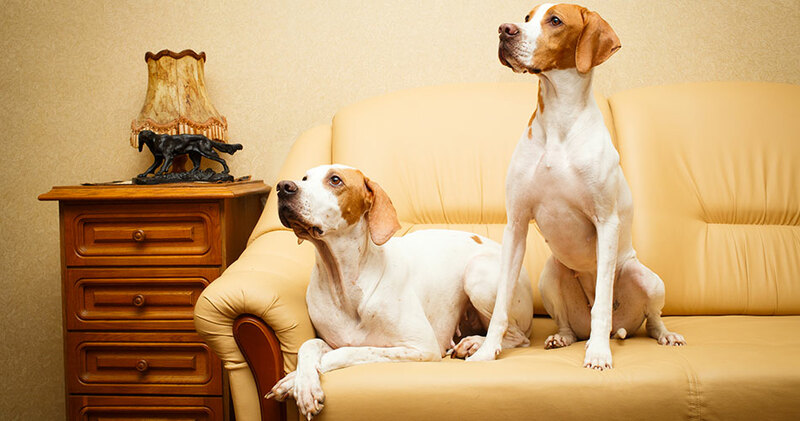 If you happen to have a cat or dog, renters insurance will safeguard you from any potential liability claims against your pets too. (Hopefully, you’re starting to see by now that renters insurance has far more value than just replacing your Ikea furniture and old sweat socks.) When your pet is riled up, they may make mistakes (e.g., biting, scratching, etc.) due to their anxiety. Or sometimes a pet’s sheer size is the problem rather than their demeanor. Training can certainly go a long way to help, but it may not prevent every potential event. Having the right amount of protection against any claims against you can be exactly what you need if something does go awry. Massachusetts does make an effort when it comes to relocation assistance in the case of a fire. But unfortunately, the assistance is not likely to come anywhere close to helping you. If your hair dryer or electronic shaver sends the whole apartment up in flames, you’ll only get $750 (maximum) to help you move out and put your life back in order (called Tenant Relocation Expense). To find a new place and replace your things, you’re going to need a lot of extra help to keep your head above water. So unless you have relatives or friends that are dying to live with you (and vice versa), you might want to have more resources in place should the worst occur. There’s no need to panic when it comes to renting but that doesn’t mean you can’t plan ahead. While no one can force you to get Massachusetts renters insurance, few people will tell you it’s a waste of money. One of the best parts about it is that Massachusetts renters insurance is probably way more affordable than you think! Now that you’ve learned a few things about apartment insurance it may be time to figure out what the best pet is to bring home to your new apartment. You might consider asking the property manager about pets that are currently living on the property. For a good post to read check out at forrent.com best and worst pets for apartment living, some cool graphics that explain a lot. Big dog, small dog? The first thing to consider is the bathroom arrangements. With cats not so much of a problem. Did you know there is over 10/6 million tons of dog poop discharged in the US by our furry friends? Generally the larger the pep the more poop you will need to scoop up. This can make a big difference in the number of times you find yourself going up and down the stairs to the backyard. Previous Post Is your boat Insurance Ship Shape?